Salaams and Greetings of Peace to all of you, dear friends and family! OIL’s (Organization for Islamic Learning’s) Project Hope, which is supporting three Syrian families in coming from Lebanon and starting their lives in the GTA, is reaching out to you through me for whatever help you can provide in settling the newest of our families to come to Canada! Manal and her 7 children aged 6 to 17, arrived Friday afternoon despite the strong winds and the cancellations of so many flights, al’hamdu’Lillah. They are well and settled at our Host family’s house for the next 4 weeks, insha’Allah, God-willing. We have done much to prepare for this day and we are ready – temporary home, translators, volunteers and money in hand. There are some things we need your help with in setting Manal up for success. Below are three lists of required items which Project Hope would humbly request you to contribute towards if you can. Welcome Package – Joy, Care and Clothing! For these items, we request you hold on to them until we have secured housing in the next month, please. Please share to your networks! We really have specific items that I know you and your friends can help us collect! Many thanx and prayers for peace and joy in this upcoming month of mercy. According to the UNHCR, 65.3 million people have been forcibly displaced worldwide. 21.3 million are Refugees with over half of them being under the age of 18. Another 10 million people are Stateless which means they are denied access to basic rights such as education, healthcare, employment and freedom of movement. Nearly 34,000 people are forcibly displaced every day. In 2015, 107,100 refugees were resettled globally. Turkey hosts over 2.7 million registerd Syrians with approximately 260,000 in 23 refugees camps. In Lebanon, there are no formal camps. Over one million registered refugees live in over 1,700 communities across the country. Jordan has over 600,000 refugees, 100,000 living in the Za’atari and Azraq camps. Iraq is hosting nearly 25,000 and Egypt UNHCR provides protection and assistance to more than 100,000. There are another approximately one million requesting asylum to Europe. The 40,081 Syrian newcomers who have arrived in Canada since November 4, 2015 are living in 350 communities (not including Quebec). Project Hope started in September 2015 when we asked for your financial donations to support at least one Syrian family over a one year period. We also asked you to sign up to volunteer your time. We expected to raise about $30k in order out support a family of 4 for one year. By the end, we raised over $150,000! With your generous support, we have teamed up with the Office for Refugees, Archdiocese of Toronto who have given us the opportunity to sponsor four Syrian families in need of help. Together, we will help these four families to properly settle into Canada while teaching them about Canadian culture. We will help them with their housing, teach them about health care, education, employment and more, and above all, help them to manage these things by themselves. We held a clothing drive during Muhurram. The clothes were sorted and some were donated to Friends of Syria who were shipping winter coats, socks, boots and bedding to a Refugee camp in Lebanon. All the rest of the clothes were sorted and stored for the eventual arrival of our families. A Volunteer information session was held in November and we signed up over 40 eager helpers! From what we’ve learned, we have one of the larger volunteer groups. These are the big hearts at OIL. By January we had created our structure which consists of a eight member Core Team and six sub-groups covering Settlement, Housing, Health care, Education, Employment and Finance. We interviewed different agencies and decided to work with ORAT who had a wealth of experience and success in settling newcomers to Canada. We signed our Memorandum of Understanding with ORAT soon after this meeting. We held a training session for our Stream leads and then our first training for our Volunteers. This training included support from the York Welcome Centre who will be integral in helping us settle our families, a short introductory arabic lesson where our volunteers had to have conversations. We also heard from a representative from another Resettlement Group who shared some key points with the very recent arrival of their Syrian newcomer family. We invited ORAT to come and provide the required Information Session Training 1-2 to our group and others at MARC. This allowed a large number of our Volunteers to be trained at a location close to them. Since then, there have been various training sessions and Resettlement group meetings held by ORAT, in which all our Volunteers are encouraged to attend. We have signed up to support three refugee families from Syria. We have been actively working with partners at the Office for Refugees of the Archdiocese of Toronto (ORAT) to help these families complete their application process. As each family goes through the Government of Canada immigration process in hopes of being approved as a Newcomer to Canada, we will post updates and information. Given the extensive process for refugee applicants, while we wait for our families to arrive, our Project Hope Core Team is reaching out to those who are working with government assisted refugee newcomer families (GARs) who are already here in the Greater Toronto Area. We have identified four different people/organizations that we can work through to help newcomers settle into their new homes. For more information on these opportunities, please contact your stream lead or oilsyrianrelief@gmail.com. Opportunities exist and we need your help NOW! Al’hamdu’Lillah, our first Syrian family has arrived in Toronto on November 23, 2017! As we told you recently, we are looking for Volunteers and looking for specific help in each of our areas (Healthcare, Finance, Education, Employment, Housing, Settlement) but specifically in long-term Housing and Settlement. We have secured temporary housing for AbdulMaseeh and have one immediate need: a dresser. If you can help with this please respond to oilsyrianrelief@gmail.com. 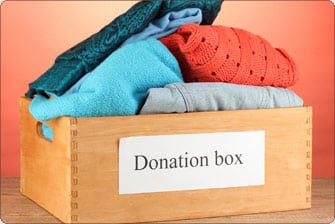 In terms of Initial Needs, we’ve created the following list of items (winter clothing, basic clothing) all detailed in the link provided. We will be needing these items immediately and no later than November 22. Please see the link below and if you can provide any of the items listed, please signup directly via the link. Contact point for these items is Riffaat Mamdani at 416.844.5786. Drop off will be close to Markham Rd and Highway 7. We are also putting together a Welcome Basket for AbdulMaseeh. We will include items like a Presto card, Timmies cards, maps, Canadian paraphanalia, etc. Again, we would like the items by November 22. Just follow the link to signup for what feel you can help with. Contact point for these items is: Rukhsana Jessa at 647.215.5731. Drop off will be close to Bathurst St. and Elgin Mills. Please feel free to share these lists with family and friends. We will also post the same on OIL’s webpage and Facebook page. In terms of Settlement Needs, we’ve created a list of items (furniture, furnishings, linens, kitchen supplies, food stores) all detailed in a future link. We will be needing these when we find permanent housing which will be mid-December to January time-frame. With respect to Permanent Housing, if you are aware of an available room/studio/bachelor/one-bedroom apartment, please send details to oilsyrianrelief@gmail.com with the subject heading “permanent housing”. We have signed up to sponsor a family of 1, a family of 7 and a family of 8. Currently, all three of our families have received G Numbers, which means that their paperwork has been approved. They are anxiously waiting to be called for an interview by the Canadian Consular Office in Lebanon. Our first family is a single young man. Our second family, a husband, wife and five children between the ages of 3 and 16. Our third family, a widow with seven children between the ages 4 and 15. More updates will be provided as soon as they are available. The Project Hope Team has come up with 4 Volunteer opportunities which vary in commitment and duration to fit into your schedule – if you have a little time every so many weeks or if you can give a bigger commitment of unto a couple of hours each week. If you are interested in finding out more about these opportunities, please send an email to oilsyrianrelief@gmail.com with your name, cell number, email address as the project you would like to help with. >> Costi Immigrant Services: Government of Canada used Costi services to bring in the fist 25,000 Syrian Refugees. You can help through product donation and through volunteering. They also have career opportunities for Youth aged 18-29 year. As mentioned above, we are happy to announce that we have assembled both our Core team and our Stream leads. Both teams work together to provide an easy and seamless transition for our Syrian families. With the help of all of our volunteers, both teams are able to provide many resources that will help our families transition into Canadian life and culture. Our Stream Leads will be announced shortly. The situation in Syria, and many other Muslim countries has opened our eyes to how it has impacted our fellow Muslims. A member of our core team recently went to an exhibition on refugees held by the UN. Featured, were pictures taken by Syrian children, who captured their struggles for the world to see. Exploring the world’s top questions about the Syrian refugee crisis. A project from UNHCR in partnership with Google. 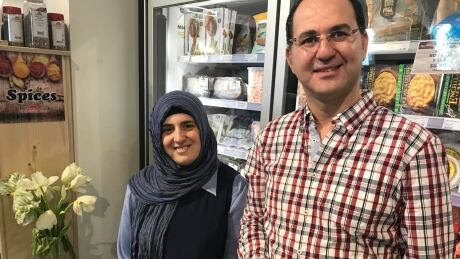 A Syrian couple who came to Victoria, B.C., as refugees in 2016 have, with the help of new Canadian friends, opened a new business supplying a local grocery store with Syrian food. Justin Trudeau broke down in tears as he was reunited with a Syrian refugee he welcomed into Canada last year. Over the past 13 months, the Trudeau government has welcomed more than 35,700 Syrian refugees to Canada—an average of 2,746 per month, or about 90 a day. A program is helping newly arrived refugee women develop their sewing and marketing skills as a means of earning income and supporting their families. 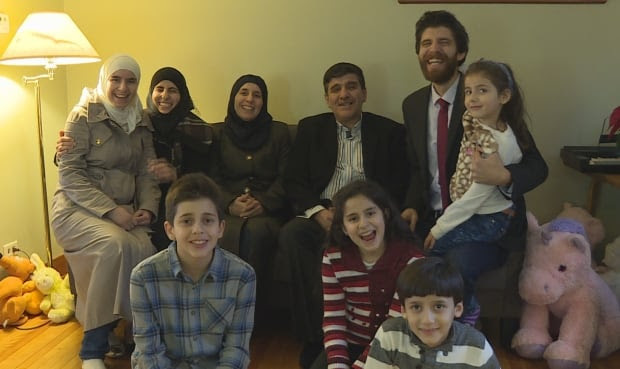 A Syrian family in Antigonish, N.S., says they’re financially independent on their one-year anniversary in Canada, having made a sweet success of their start-up business.